So, your child wants to be a Transformer for Halloween. He’s watched every movie and every cartoon in preparation for his big debut as Bumblebee and he’s even practiced all the fighting moves that he’s going to use against the Decepticons. He’s even tried to contort himself into a car (to varying degrees of success). But there’s still just something missing, isn’t there? His hands just look too much like human hands and not enough like robot hands! Well, now with these Bumblebee child gloves, your kid will have some realistic robot hands to use in his fight against evil robots. 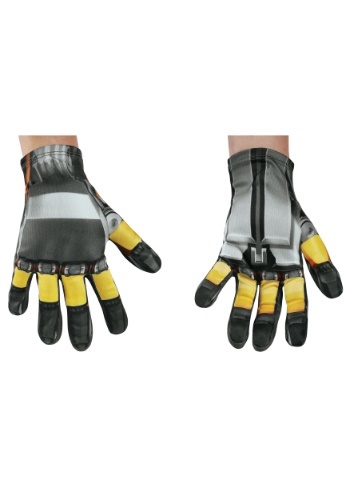 The gloves are officially licensed from the Transformers series and fit comfortably over your child’s hands. They have printed robot details, with yellow and metallic colors. Just slip them on with our child deluxe Bumblebee costume and your kid will be ready to join the Autobots' fight against evil!